Worried about what to do all summer long with your kids? 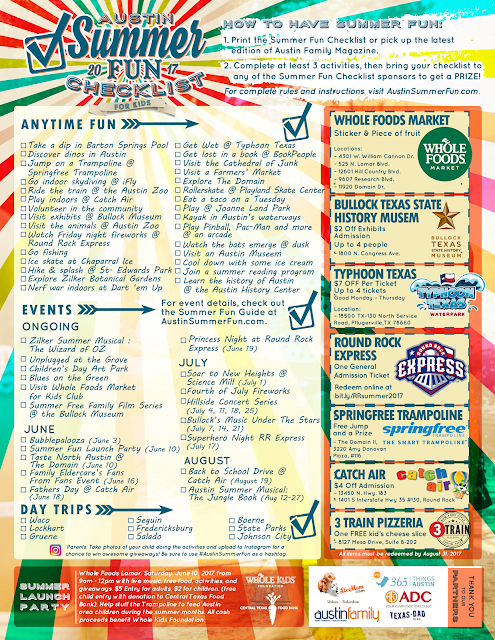 The Austin Summer Fun Checklist for Kids has you covered! Maybe you've mapped out every camp and activity like a boss. Or maybe you've put off your scheduling to the last minute and you are starting to panic about how you'll keep your kids busy this summer. Perhaps you're looking forward to slowing down and maximizing every moment with your child at home. No matter where you are with your summer planning, one thing is for sure -- Austin, TX is chock-full of opportunities for summertime FUN. We've got a great plan to help you enjoy some happy family time all throughout the summer. The 2017 Austin Summer Fun Checklist for Kids is a FREE printable that offers over 60 suggestions of activities, events, and day trips for kids and their families to do this summer. Many of the activities are free, all are fun and sure to keep your kids motivated to get out and explore some of the highlights that make Austin such a family-friendly citys. And what's even better? Your kids can earn FREE PRIZES when they check off at least three items from their list! Get a copy of the 2017 Summer Fun Checklist for Kids today! Don't have a printer handy? Pick up a copy of the June, July and August editions of Austin Family Magazine for an already printed copy. 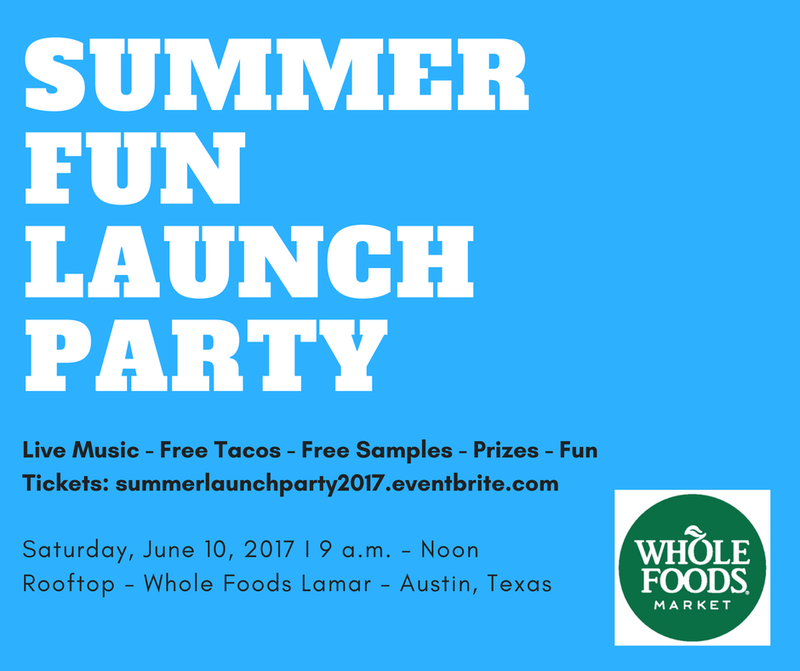 Celebrate the begining of Summer at the Austin Summer Fun Checklist Launch Party, presented by LiveMom.com, AustinSummerFun.com, and Whole Foods Market, with sponsorship by the Austin Diagnostic Clinic! 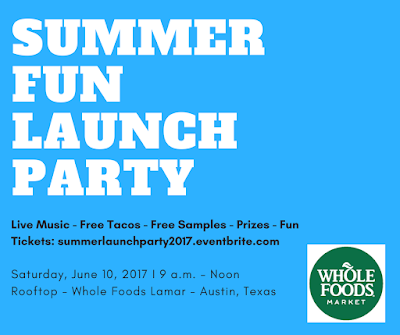 Get your FREE Checklist for the kids and kick off your summer of fun on the rooftop at Whole Foods Market Lamar (525 N. Lamar Blvd) in downtown Austin on June 10th, from 9am to noon! Enjoy live music by Joe McDermoot, Ms. Kat's Music and Movement and Lauren Diamond and Big Wy's Brass Band. Tickets are just $5 per adult, $2 (or a food donation) for kids 13 and under. Proceeds from ticket sales will benefit the Whole Kids Foundation. Help us Stuff the Trampoline with food items that will support the Central Texas Food Bank as they work to feed children who don't have access to school lunch and breakfast this summer. We will be accepting food items in an attempt to fill up a Springfree Trampoline. Check back all summer long for articles and tips on enjoying the activities and events on the 2017 Summer Fun Checklist for Kids. You can also follow along on our Facebook or Instagram for even more giveaways throughout the summer. Austin loves kids. Let's hit the streets to give it our love in return. Get out and make this your best summer ever! Read the complete Checklist rules here and instructions here.